It’s hard to buy stuff for the guitarist in your life–especially if you aren’t a guitarist yourself. 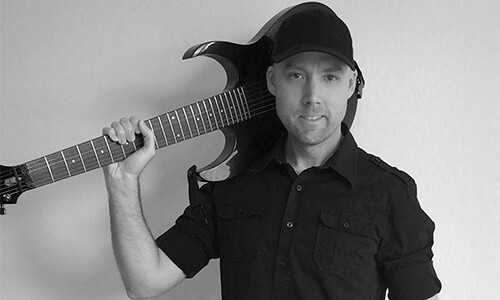 That’s why I’ve compiled a list of guitar goodies for 2019 that I myself (a guitarist of 28+ years) would love to receive as gifts. These are all items that I currently own, have owned in the past, or have at least tried… so I know they’re great. No cheesy gimmicks here, just awesome and genuinely useful gifts that they’ll love. 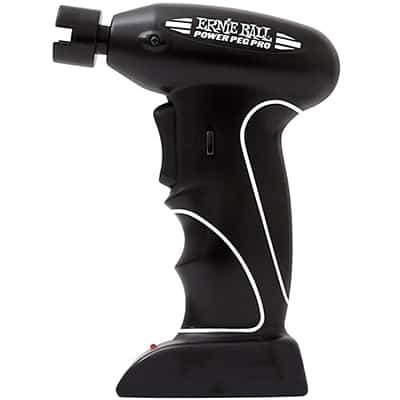 Attach this string winder to a cordless screwdriver or drill and your string changes become lightning fast. I use this myself for every string change. 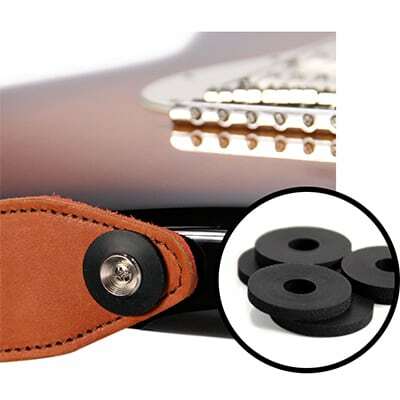 Many guitars have been severely damaged because one end of a strap slipped off the guitar. These ingenious little “locks” dramatically reduce the chance of this ever happening. 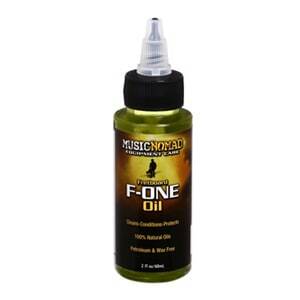 A light treatment with F-ONE about 1-2 times per year will keep a guitar’s fretboard nourished and protected. F-ONE has emerged as my favorite for this task, and is what I’ve been using exclusively for several years now. Guitar strings get dirty. That’s a fact. 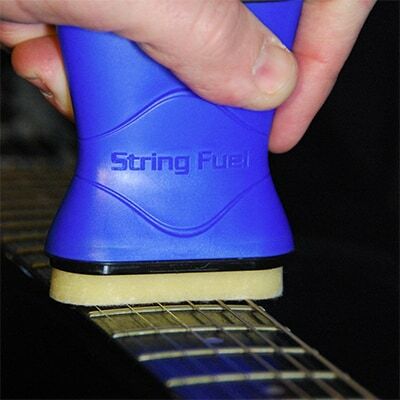 String Fuel removes the gunky buildup, leaving them feeling slick and sounding like new again. This means you don’t have to change strings as often! I’ve used many guitar polishes over the years, and this one has risen to the top as my favorite. It’s all I use now for routine polishing. Great stuff! 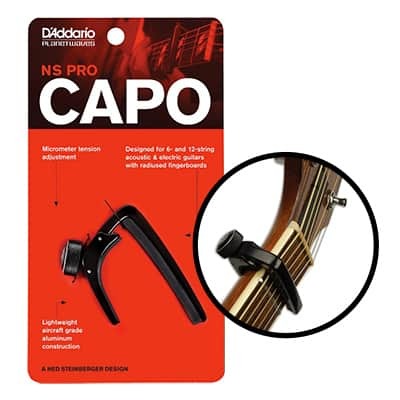 If the guitarist in your life doesn’t already have a capo, this little workhorse is small, unobtrusive, ultra-lightweight and super easy to use. It’s one of several capos I own, and I love it. 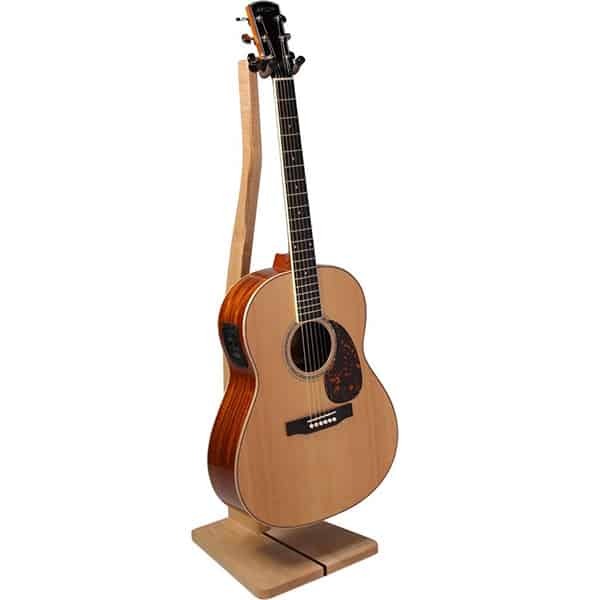 The best of both worlds, this compact little guitar stand will hold either an electric or acoustic guitar. Got multiple guitars? Go ahead and buy 2 or 3 of them! This tiny guitar tuner fits inside the guitar’s sound hole. Easily accessible and visible by the guitar player , but virtually invisible to the audience. 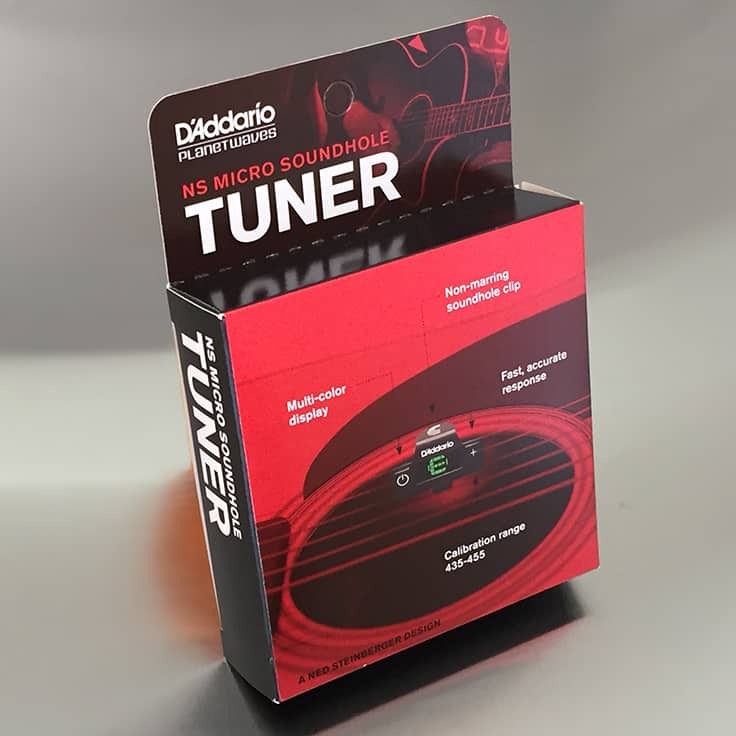 Read my in-depth review of this tuner here. 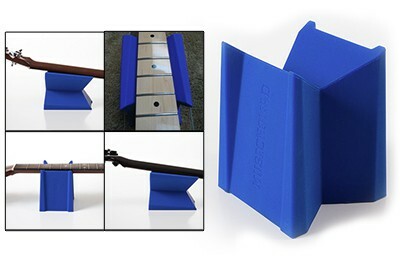 If you’ve ever seen their guitar flat on its back on the floor or kitchen table, then they need the Cradle Cube. 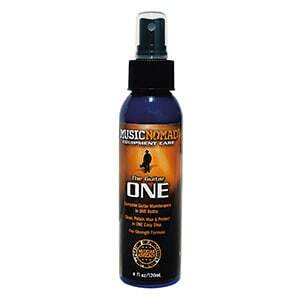 It gives the guitar proper support and holds it securely during cleaning, maintenance, and string changes. 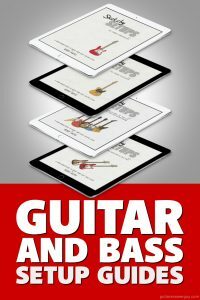 This is THE book I recommend to guitarists who want to know the how to properly set-up and maintain their electric guitars. 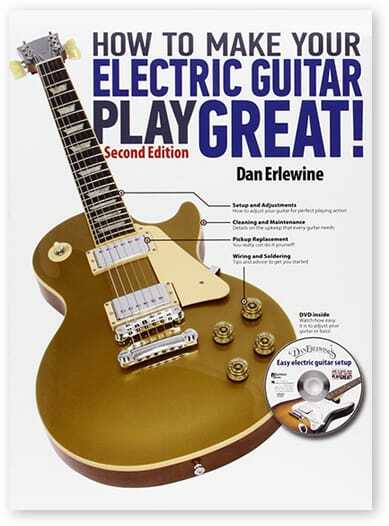 Packed with practical advice that every electric guitar owner should know. I recently tried one of these (read my review here) and really liked it! All you need is this unit and some headphones and you’ve got all the tones and special effects you need to play guitar on-the-go without bothering anyone around you. You’re not limited to headphones though. 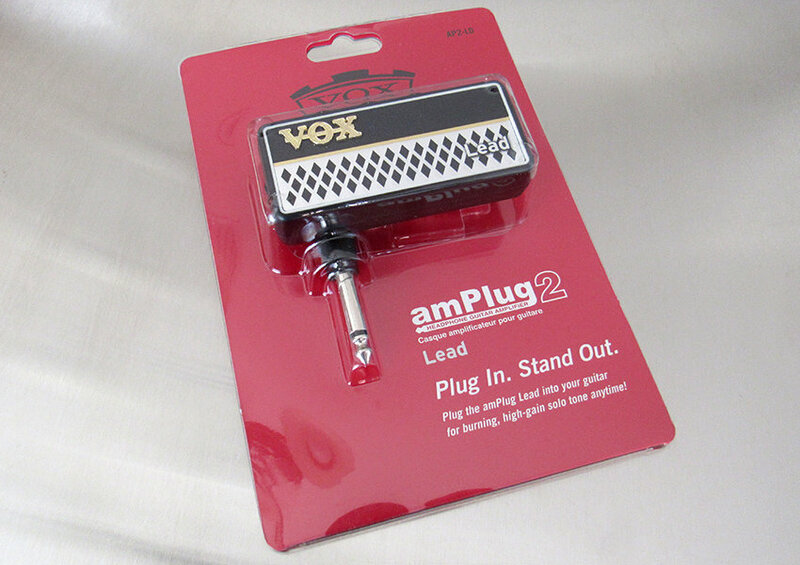 The amPlug can be connected to a guitar amp or other speakers. Great stocking stuffer! Need to transport your guitar by bike, motorcycle, or scooter? 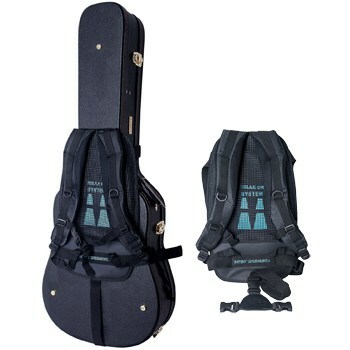 Keep your hands free with this backpack-style adapter, which allows you to strap your acoustic or electric guitar case securely to your back. If you’re not a guitarist, it’s hard to describe what this cool little gadget does. Suffice to say that this gift will bring a lot of enjoyment if they don’t already own one. Best for intermediate – advanced guitar players (not beginners). 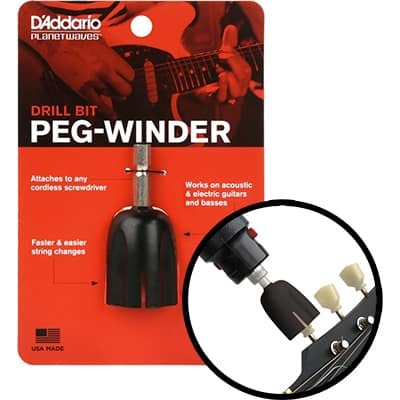 If the guitar player in your life can’t use the drill bit peg winder listed in the “Under $10” section above, this is also a great way to dramatically speed up string changes. 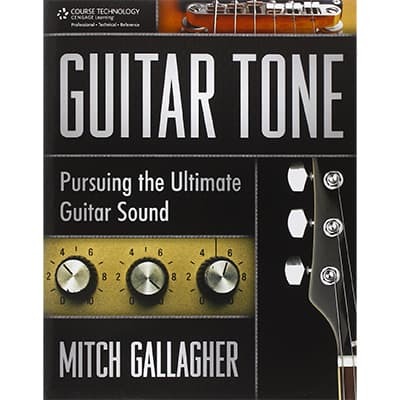 We guitar players seem to be on a lifelong quest for “the ultimate guitar tone.” This highly entertaining book is a fun read, packed with practical advice. It makes a great gift for guitar players. 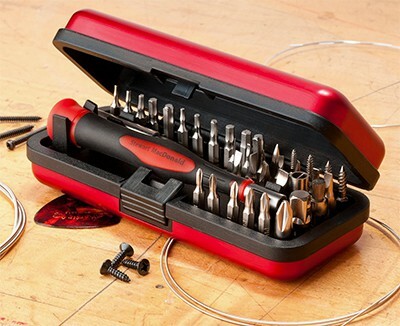 This awesome screwdriver set is designed specifically for guitar work. If the guitar player in your life likes to tinker with their guitars, they’ll love this all-in-one set as a gift. 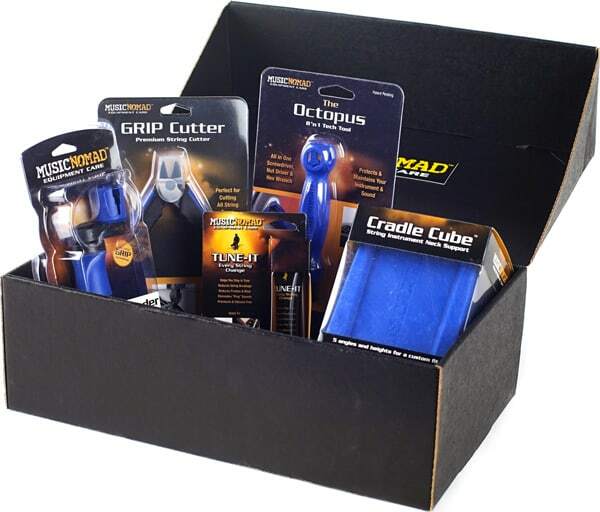 I love (and use) Music Nomad’s products, and here’s a kit containing everything a guitarist needs to change strings: a neck rest, string cutters, string winder, nut lubricant, and Music Nomad’s awesome “Octopus” 8-in-1 guitar tech tool. This neatly boxed set makes a great gift for any guitar player. 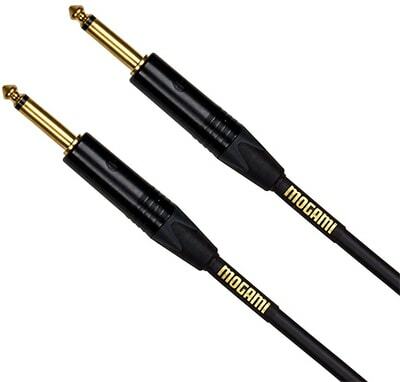 A Mogami cable is one of the best guitar cables money can buy. Mogami uses the finest connectors, materials, and assembly techniques, and is backed by their “no excuses” lifetime warranty. If the guitarist in your life has a pedalboard (a bunch of guitar pedals mounted on some type of board that sits on the floor), there’s a good chance that the wiring isn’t as neat as they’d like it to be. 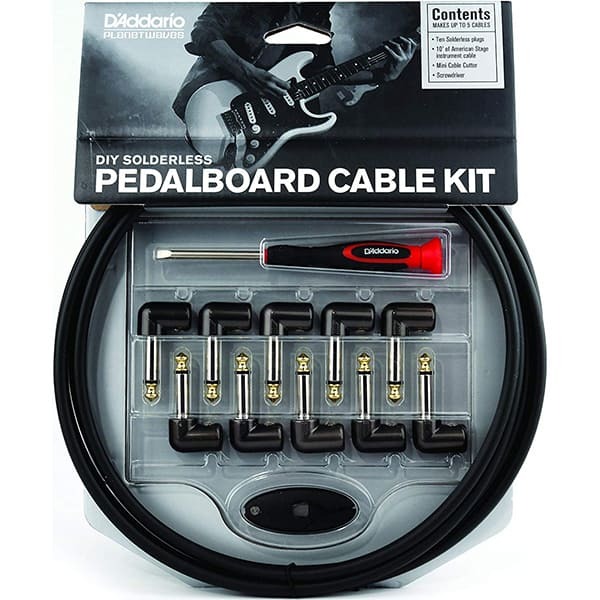 This handy little kit allows them to create cables that are the exact lengths needed to tidy-up their pedalboard’s wiring. Also available in a 40ft version too. 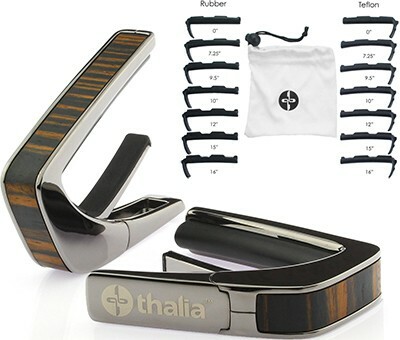 Even if the guitar player in your life already has a capo, they don’t have one like this (read my in-depth Thalia review). 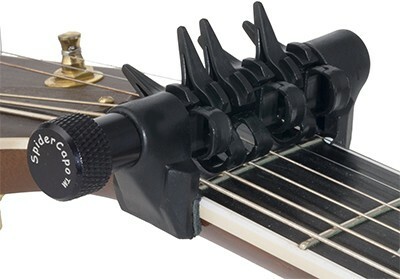 Thalia is the “luxury car” of capos. There are a number of styles available and every Thalia capo comes with 14 interchangeable fret pads to ensure a perfect fit on any guitar, including 12-string guitars. By itself, it doesn’t look like much, but this classy ash hardwood stand keeps guitar cases neatly organized, upright and side-by-side. Holds 5+ guitar cases, depending on case thickness. Guitar straps popping off is a serious problem for guitar players. 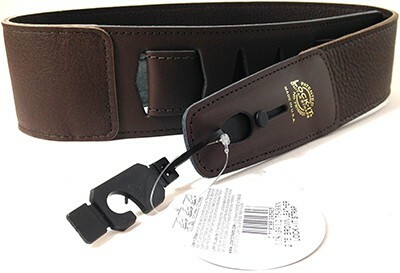 This strap gives you the luxury of leather and the safety of strap locks built right in! Available in brown or black. 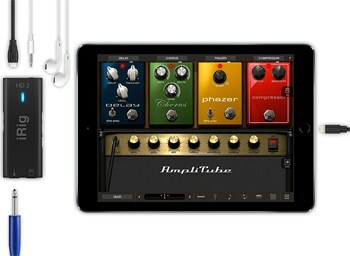 This awesome little gadget allows you to connect your guitar to an iPhone, iPad, or Mac computer–so you can access a vast world of digital effects and recording. Includes a headphone jack for privacy, as well as 1/4″ output jack so you can run your effects out to a guitar amp or mixing console. This limited-edition set contains everything a guitarist could ever need for the care-and-feeding of their guitar. You’ll see lots of Music Nomad products on this page and throughout the rest of my site because they make fantastic products that I’ve used for years. The Hercules 3-instrument guitar rack is the one I use. 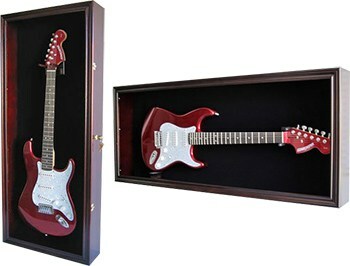 It keeps 3 guitars (including bass guitars) safe and neatly organized, and looks cool in the room. There is also a bigger 5-guitar version too. 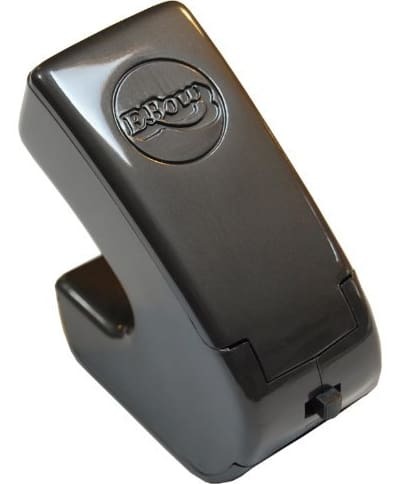 Look at any other list that suggests gifts for guitar players and the E-bow is always there.The E-Bow is a hand-held device that uses electro-magnetism to create amazing, harp-like sound effects on electric guitar. 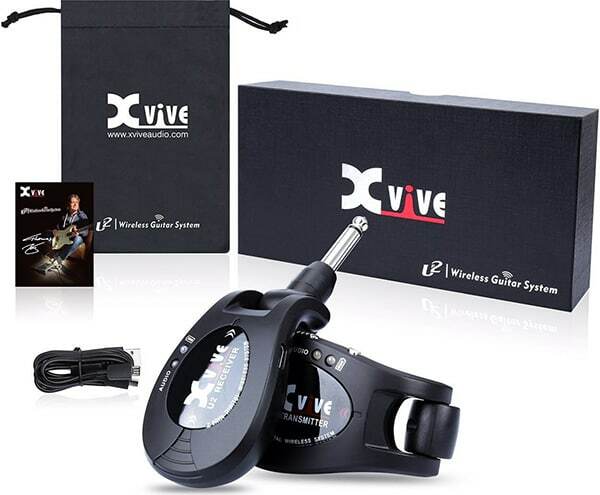 Say goodbye to guitar cables with this sweet little wireless system (read my Xvive review here). Plug the transmitter into your guitar and the receiver into your amp, then enjoy the freedom and mobility of no longer being attached by a guitar cable. Walk around your house, or up to 100 feet away. Not suitable for active guitar pickups. 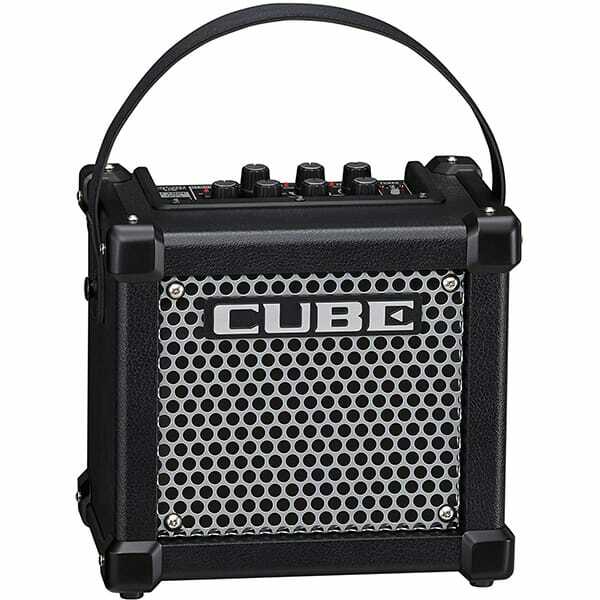 If the guitar player in your life needs a compact practice amp, they’ll love this one. It runs on batteries or AC power, but this isn’t just one of those cute, gimmick-y little toy amps. This is actually a serious practice amp with some really great built-in effects and amp modeling. It sounds really good for its tiny size. This is the strobe tuner I use and I love it. Strobe tuners are far more accurate than the cheaper, non-strobe guitar tuners that are predominantly available. In fact, to accurately set intonation, you need a strobe tuner. The StroboPLUS HD is an incredible value for the price. 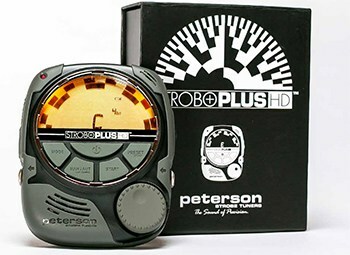 Also check out Peterson’s smaller clip-on version of this tuner. What do you get the guitarist who seems to have everything? 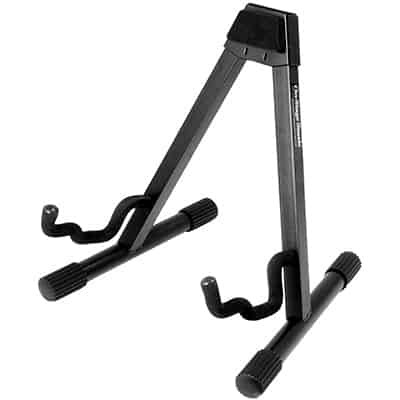 You get them one of the classiest guitar stands available. 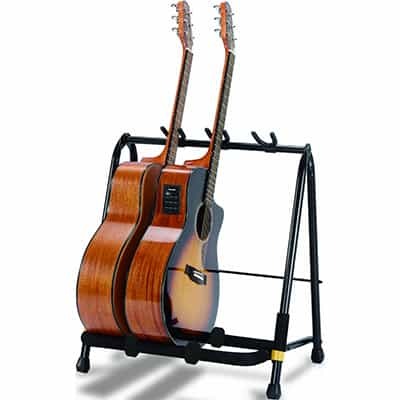 The USA-made Zither guitar stand suspends an acoustic or electric guitar (safely) above the ground. 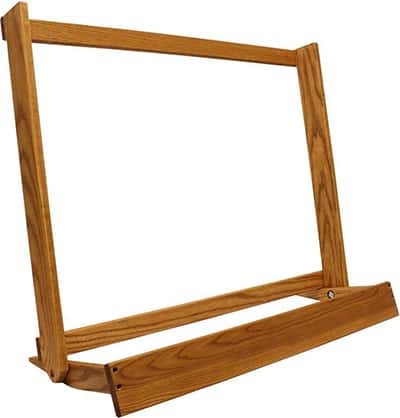 It’s not just a guitar stand, it’s an attractive furniture piece that’s available in a variety of solid hardwoods. They’ll love it, trust me. Whether the guitarist in your life is a collector of expensive guitars or just wants a classy way to protect and display their guitars, a display case like this one makes a great gift. Also available for acoustic guitars. Why No Guitar Pedals? Or Strings? Or Picks? Or…?? I’ve chosen not to list guitar pedals, strings, and picks because these items are very much a matter of personal taste. We guitar players can be really picky about these things, so it’s best to avoid them as gifts… unless they’ve told you exactly what they want. Otherwise, if you try to guess, you run a very high risk of buying your guitarist a pedal, strings, or picks that they won’t like or use. Have a Gift Question or Idea? Just Ask! Got something else in mind? Run your gift ideas by me in the comments below and I’ll give you my input so you can buy the right gifts before the holidays sneak up on you. 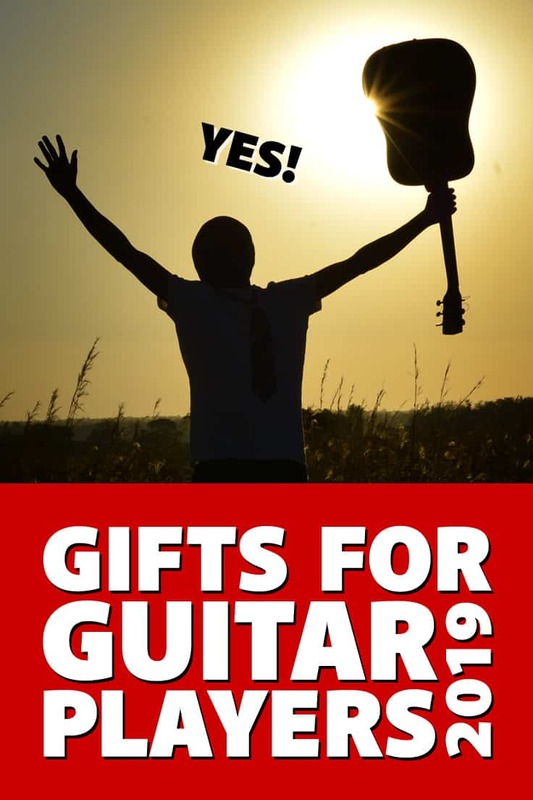 Of course, there are plenty of other potential gifts for guitar players out there that didn’t make this list. If you have a question about a specific gift idea, or perhaps you feel that I left a great gift idea off this list, please let me know in the comments below. Also, I’d love to hear how they reacted to your gift, so please share. I wanted to let you know that I got the Guitar Tech Screwdriver Set (the version with wrenches) that you suggested here and my husband loves it. As soon as he saw the tape on the box he said, “Ooh, StewMac is a great brand!” and he’s very happy with his gift. Thanks for the excellent recommendation. Jenna, that’s great to hear! I’m so glad I was able to help you find a cool gift for your husband. I’ll be keeping this list updated throughout 2019, so be sure to stop back by this page when his birthday rolls around… or when Christmas gets here next year. Thanks for finally writing about Gifts for Guitar Players 2017 Edition. Liked it! You’re welcome Julianne. I hope you were able to find something cool for the guitarist in your life (or yourself). These are awesome. For a long time i was using the plastic twist cover ones and they either broke all the time or kept coming undone. I bought these to try out and wish I would have bought sooner. They work like a charm and have not popped off or broke! Thank Bobby!! Awesome! I assume you’re referring to the Guitar Savers strap locks? I’m glad to hear that these are working well for you. It’s such a simple idea, but sometimes the simplest solution is the best. How to Clean and Polish a Guitar Why Do Some of My Guitar Chords Sound Out of Tune?